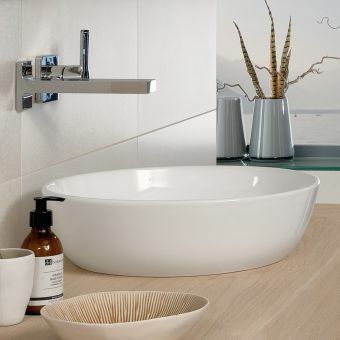 The villeroy and boch Loop & Friends range brings innovation and practicality together into an attractive series of items, lending the interior space an element of freshness and tranquiity. 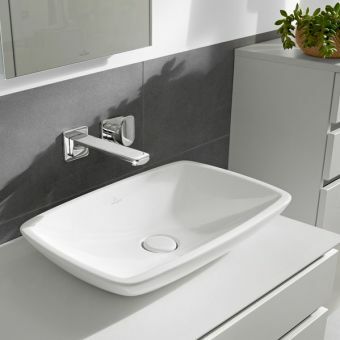 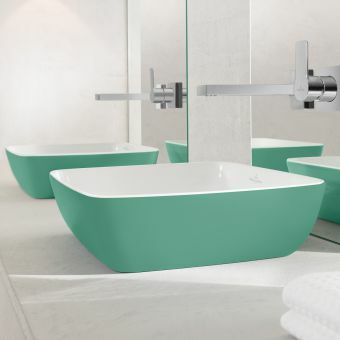 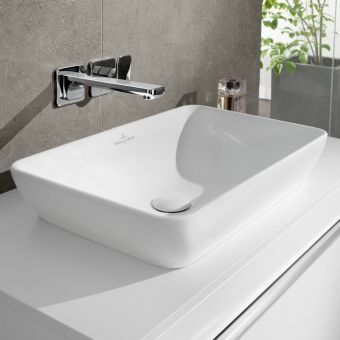 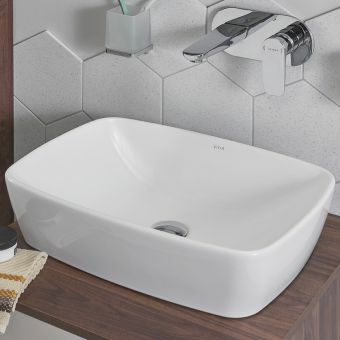 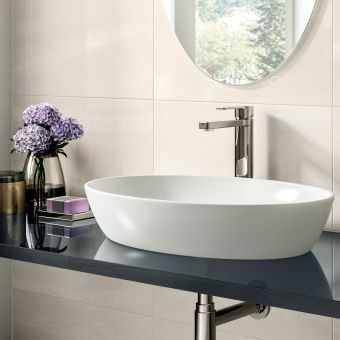 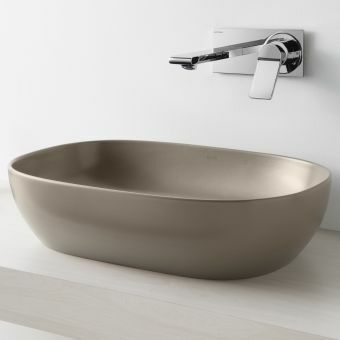 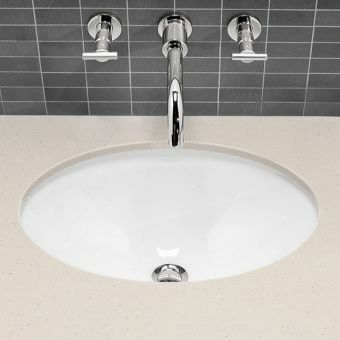 This surface-mounted washbasin features an unusual rounded square design, demonstrating a softer minimalism while remaining up to date. 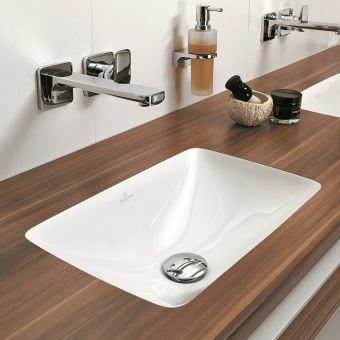 Surface-mounted to a counter-top, it is more then capable of fitting with wood, marble or modern material surfaces. 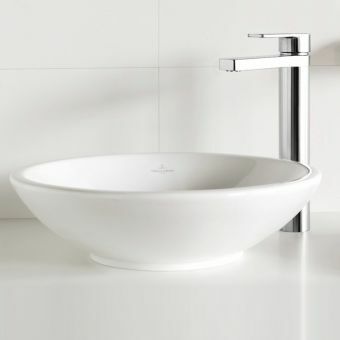 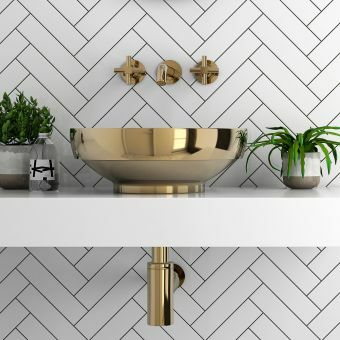 And with a range of pillar and wall-mounted mixer taps to choose from, this basin proves a key ingredient in a bespoke wash space. 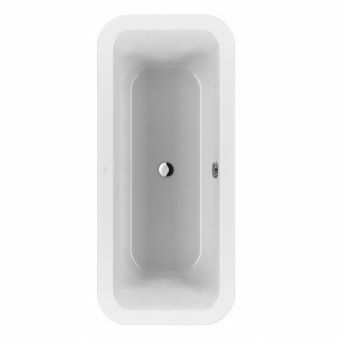 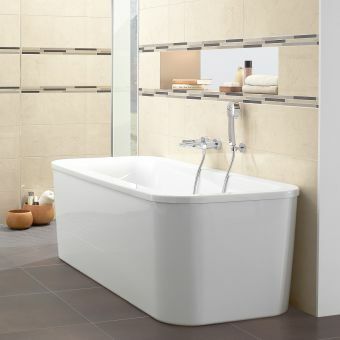 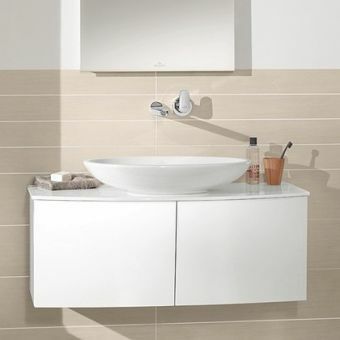 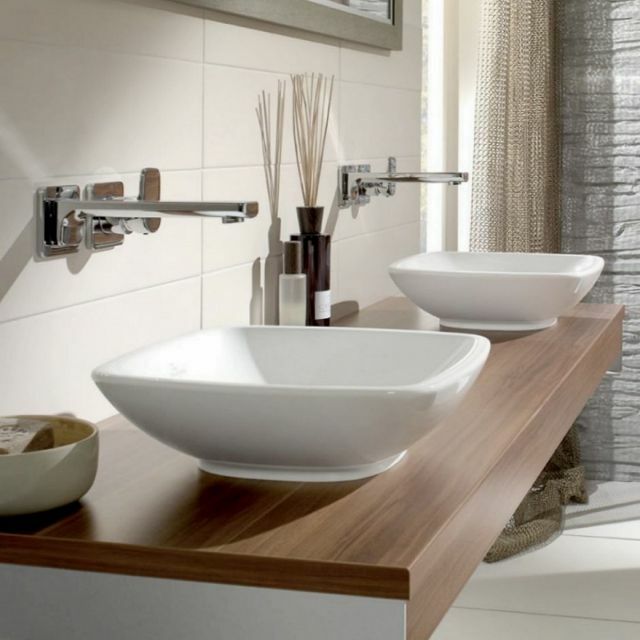 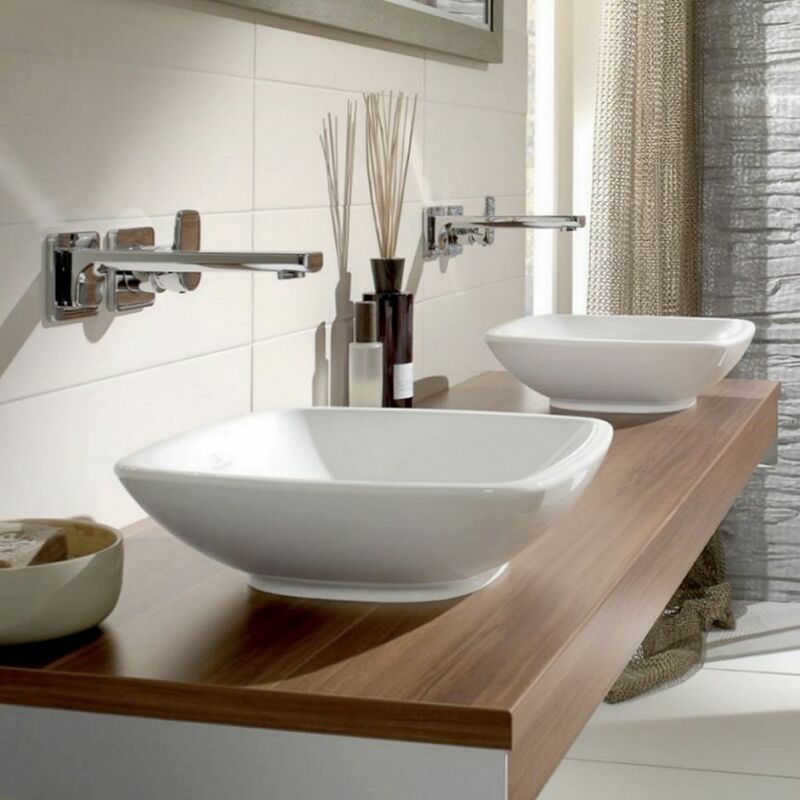 Its fine sanitary porcelain gives it a pleasing tactile quality, and its Alpin White finish an air of cleanliness. 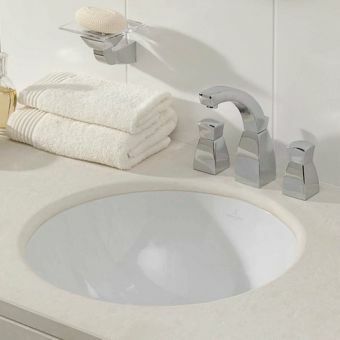 With the addition of the CeramicPlus treatment, its brilliant sheen is protected for longer against stains and limescale.